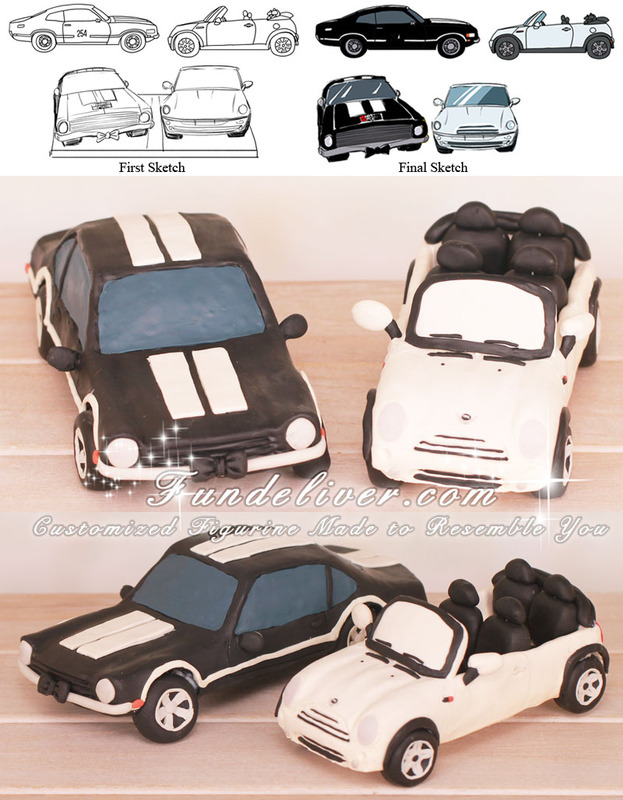 This is a completely customized Mini Cooper and Ford Maverick car wedding cake topper ordered by one of our customers. 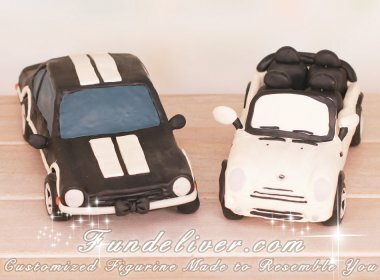 They would like the bride to be a white Mini Cooper and the groom to be a black '71 Ford Maverick wearing a bow tie. No figurines of them, just the cars standing for the bride and groom.